Recently we have been trying the Babyzen Yoyo for a few months now and we love it. It is super lightweight, so much so it comes with it’s own strap that you can put over your shoulder and carry like a bag. I have done this in to school with Aria in one arm, the pushchair over my shoulder and the changing bag and it was a doddle. I am impressed by this pushchair more than I ever thought possible. The one we tested isn’t suitable from birth but from 6 months +, there is a version you can use from birth which comes with the 6 months + base too. The Babyzen Yoyo Stroller for 0+ looks great value for money. The main thing you notice about the Babyzen Yoyo is how small and light it is. It is only 52 x 44 x 18cm and weighing just 5.8kg it’s super light. I have never seen or felt anything like it. It’s even lighter than the Quinny Yezz, but is more sturdy when pushing. What I have found in the past is with lightweight pushchairs when the toddler becomes mobile they can move the pushchair from side to side as they do, making it difficult to steer. With this it seems that the weight is distributed evenly and it seems firmer to push and steer. 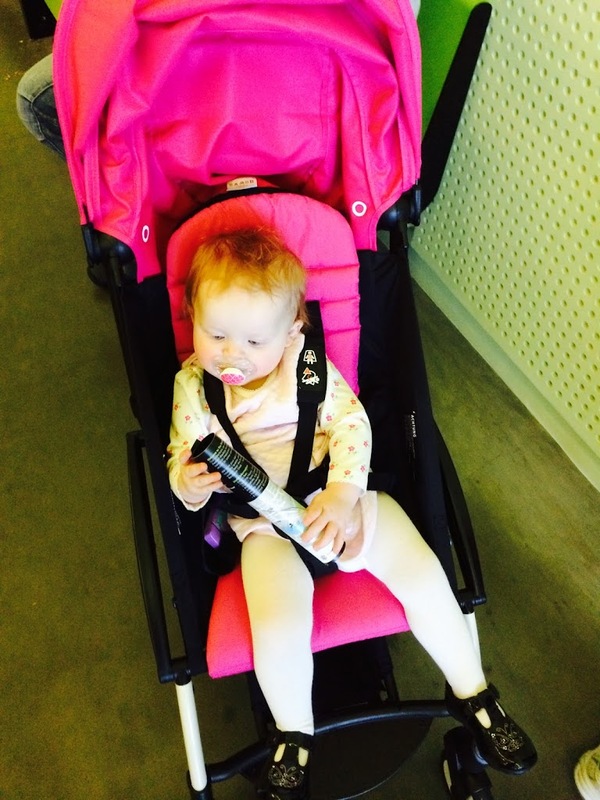 The Babyzen Yoyo pushchair is so simple to put up and down it’s childs play. There is a little hook/catch at the foot play that you unhook, it pops up and then you unfold the top part and you are good to go. Simple. You can fold it one handed, I tested you can. There is a great pocket in the back and the basket underneath is big enough to hold several bags. Most pushchairs, strollers, etc that you get from birth are travel systems and are big and clunky, hard to fold and take up a fair amount of room in the car. The Babyzen Yoyo changes that, not only is it small, simple to fold but it also reclines, something not a lot of umbrella style strollers do. 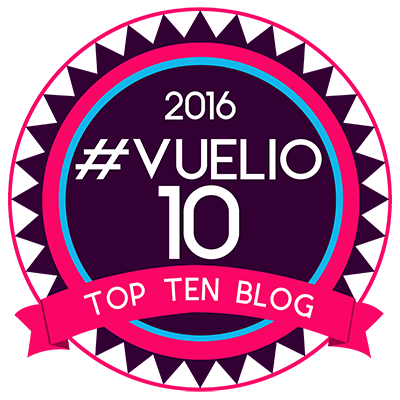 The pushchair is perfect for taking abroad and can fit into the overhead locker. An interesting fact is that the Babyzen Yoyo was developed by a group of dads who were struggling to find a stroller to suit their needs, they came up with the Babyzen YoYo which has plenty of thoughtful features making it truly one of a kind! It really is. Aria loved the stroller and the minute it was built she tried to climb straight in and she fell asleep pretty quickly in it too. The Babyzen Yoyo look great, feels great pushing it and is comfortable. At a great price, light weight, easy to fold and perfect for taking in and out of the car, the Babyzen Yoyo is great for those on the go. 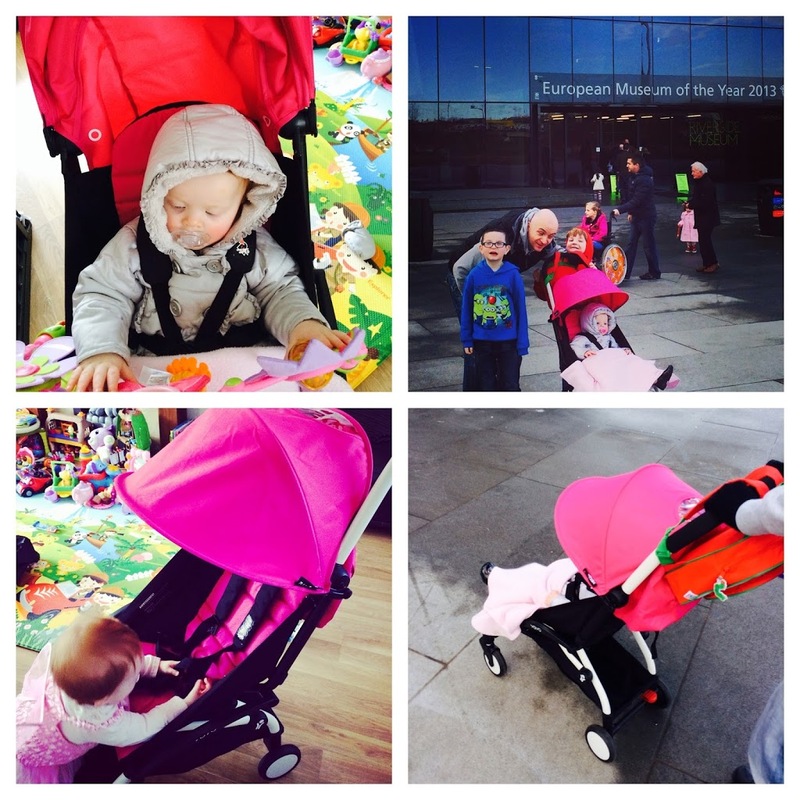 No more heaving a stroller out of the boot of the car, struggling to get it up whilst being soaked in the rain, now you can have a simple to use lightweight stroller that looks just as good as any other. I am really enjoying using this stroller and Aria is loving being out and about in it. I’d love to know what you think?